Samsung Electronics, a world-leading manufacturer of professional LCD and PDP display products, today announced that the company’s new SyncMaster 931C TFT LCD has been named the official monitor of the 2006 World Cyber Games. 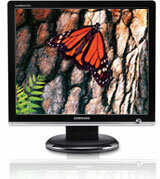 The Samsung SyncMaster 931C TFT LCD features 97 percent of the NTSC (National Television System Committee) color gamut for CCFL (Cold Cathode Fluorescent Lamp) displays. In addition to its wide color gamut, the SyncMaster 931C features notable specifications, including a 2000:1 dynamic contrast ratio, a fast 2ms (GTG) response time, 1280×1024 resolution, and 250 cd/m2 brightness. This allows the 931C to have outstanding color quality and a fast response time. The World Cyber Games is the world’s blue-chip global game tournament and cultural festival, founded to promote international harmony through e-Sports competition. Under the slogan “Beyond the Game,” WCG leads the digital entertainment culture by bringing gamers across the globe together to form friendships and compete in the planet’s largest e-Sports festival, with the world’s largest following. Approximately 60 of the SyncMaster 931C TFT LCD monitors will be used by the competitors at the upcoming 2006 WCG USA Championship Final being held at the Aladdin Hotel – soon to be Planet Hollywood by Sheraton – in Las Vegas, September 15-17. More than 1.25 million gamers participated in 2005, with more than US$2.5 million awarded in total. Over 55,000 spectators attended the five day 2005 Grand Final in Singapore with millions more watching via TV broadcasts and online. WCG pioneered e-Sports TV broadcast coverage in North America, Latin America, Europe and Asia.